Paradise Point, by Destination Hotels & Resorts, a AAA Four Diamond hotel on San Diego’s Mission Bay, has been named Recycler of the Year by the City of San Diego. Adding to its growing list of accolades, the award recognizes Paradise Point’s innovative and successful efforts to recycle, reduce waste and implement recycled product purchasing programs. Nestled on a 44-acre private island amidst lush lagoons, gardens and greenery, Paradise Point is an eco-friendly hotel committed to conservation through sustainable practices. A few of the company’s highly regarded recycling practices include the use of refillable dispensers for guest amenities to eliminate individual packaging waste, paperless purchase order procedures, an electric car-sharing program, and a vigorous waste management system. This system, introduced in 2013, has helped drive a dramatic increase in the 462-room property’s waste diversion rate from 10 % to 68% in less than a year through recycling and the composting of food scraps and landscape debris. All of Paradise Point’s efforts are part of a larger island-wide eco initiative called Destination Earth. This signature sustainability program has garnered multiple honors and earned the hotel an official partnership and recognition from the Surfrider Foundation, an organization dedicated to protecting the world’s oceans, beaches and waterways. Recognition of Paradise Point as Recycler of the Year was announced by the City of San Diego at the 22nd Annual Waste Reduction & Recycling Awards on April 29 aboard the USS Makin Island. 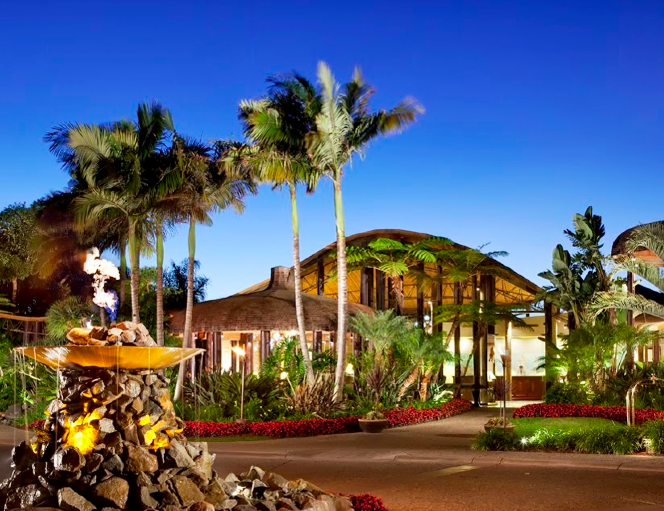 Paradise Point is honored by the award and excited to continue to uphold its commitment to conservation, while providing guests with superior service and environmentally conscious hotel accommodations and green meeting facilities. For more information on Paradise Point’s green hotel initiatives and details on the Destination Earth program, visit paradisepoint.com/san-diego-green-hotel.php.